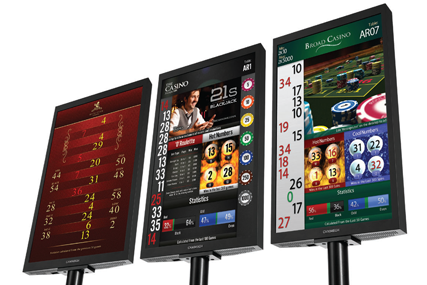 CAMMEGH BILLBOARD DISPLAY complements any roulette table by displaying results, statistics and promotional material in pin-sharp high definition. Game data can be obtained quickly and reliably from MERCURY 360 roulette wheel. 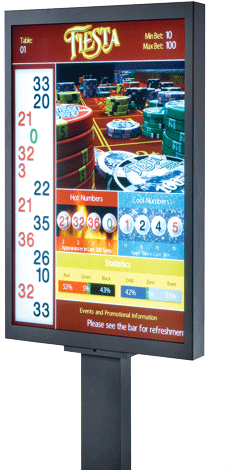 CAMMEGH always raised the bar with respect to the features and quality a roulette display should offer. 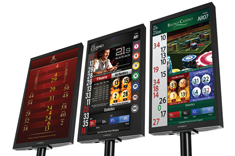 Instead of restricting you to ‘skins’ and presets, the Billboard Display System offers a blank canvas and a wealth of configurable elements with which to fill it. As each Billboard can hold up to 100 separate screen layouts, there’s plenty of room for experimentation.